The Fall ECCU Conference Workshop is now full…. 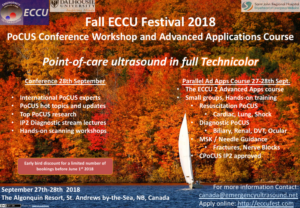 What is the Fall ECCU Fest PoCUS Conference Workshop? 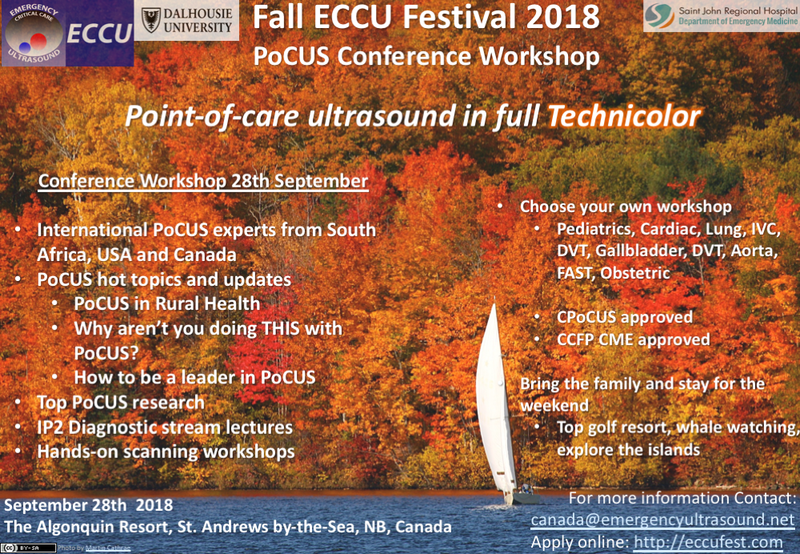 The Fall ECCU Fest PoCUS Conference is a biannual event bringing together the best PoCUS educators in Atlantic Canada with other international experts to provide an update in the hottest clinical PoCUS topics. The focus will be on presenting the best emerging evidence, strategies for developing a local PoCUS program and developing competencies. Scanning workshops are allocated on a first come first served basis at the time of booking. Options include basic cardiac, IVC, advanced cardiac, eFAST, early pregnancy, lung, DVT, gallbladder, renal and aorta. The conference content is different each year, with new invited experts and the best emerging evidence. 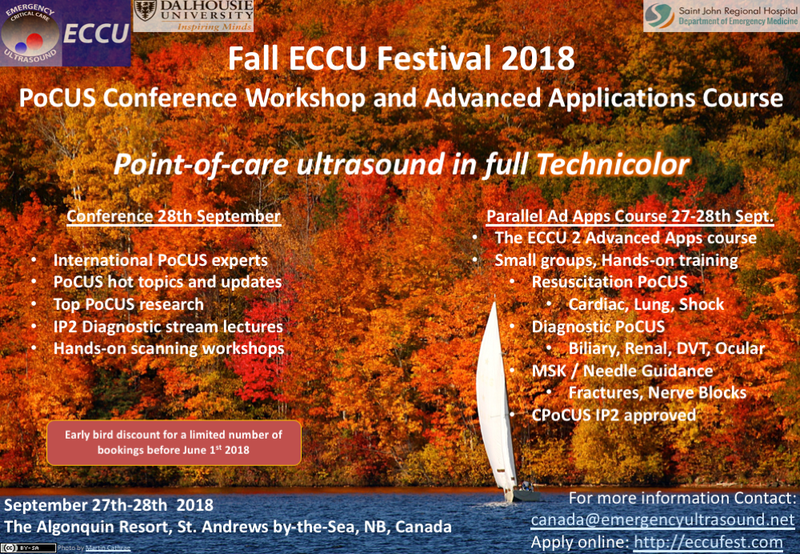 Even if you have already completed the ECCU2 Course in previous years, you should attend the conference for the latest PoCUS updates and have a chance to hone your PoCUS skills at a workshop. Places are strictly limited for the ECCU2 Advanced Apps Course so if you are considering option 2 please book early to avoid disappointment. 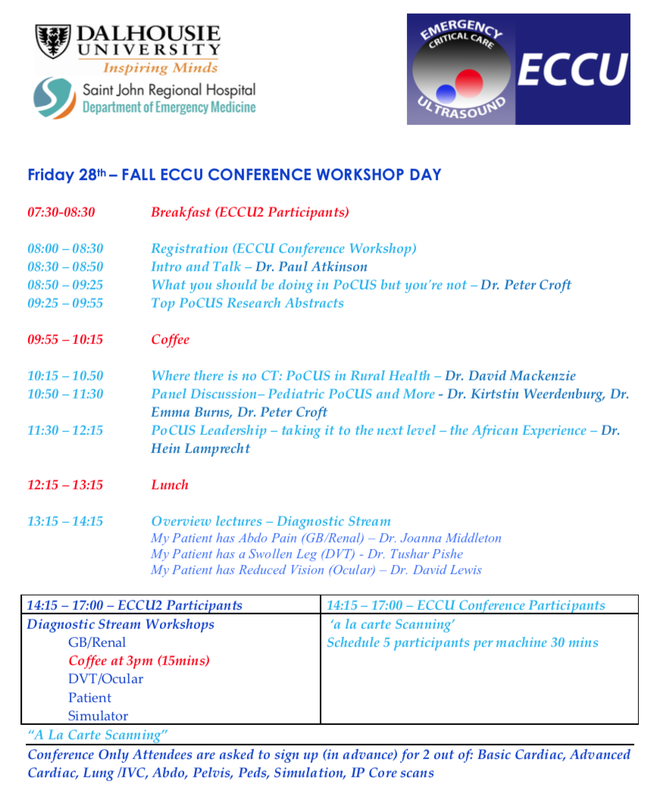 If you have an interest in PoCUS you should attend the ECCU Conference every year. What is the ECCU2 Advanced Applications Course? The ECCU2 Advanced Applications Course is an advanced PoCUS course. It covers all the requirements for CPoCUS IP2 and beyond. The Resuscitation module includes advanced cardiac (4 views, form and function, etc), lung (pneumothorax, pleural fluid and interstitial fluid, etc), ivc ( shock, etc). The Diagnostic module includes biliary, renal, DVT and ocular. The MSK/Needle guidance module includes PocUS assessment of upper and lower limb (joints and soft tissues), fracture/dislocation assessment and ultrasound guided vascular access / nerve blocks. Workshops will include access to model patients, a wide range of PoCUS phantoms and the state-of-the art CAE Vimedix Ultrasound Simulator. Where will the Fall ECCU Festival be held? 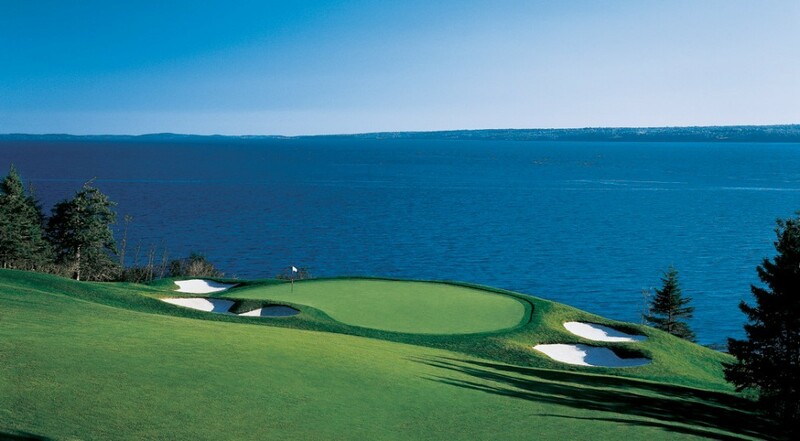 The Fall ECCU Festival will be held at the beautiful Algonquin Resort in St. Andrews by-the-Sea, one of Atlantic Canada’s premier resort hotels. Local activities include golf, sea kayaking, whale watching and sport fishing. Fall ECCU Festival Conference and ECCU 2 Advanced Apps Course – (27th-28th Sept). Includes Conference and full ECCU 2 Advanced Apps Course, all meals and one night’s accommodation at the Algonquin Resort on the 27th September. Additional night’s accommodation (not included) can be reserved on request.